The Yom Kippur War of 1973 was a major military confrontation between a coalition of Arab States and the state of Israel fought from October 6th to October 25th. It was a devastating conflict that resulted in several thousand casualties on both sides, and its sociopolitical impact resonates throughout the region to this day. At first glance, the Yom Kippur War may seem like another repeat of the several Arab-Israeli conflicts that preceded it. There are indeed undeniable similarities between the Yom Kippur War and the previous confrontations such as the Arab-Israeli War (1948), the Suez Crisis (1956), and the Six-Day War (1967). Upon deeper inspection, however, the Yom Kippur War stands out as an important moment in the history of this region. 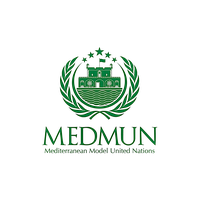 We believe it is particularly well-suited to the sorts of crisis simulations organized by MEDMUN. You will join one of two cabinets, which roughly defined correspond to the “pro-Israel” and “pro-Arab” camps. You will represent an individual within one of these cabinets, which will be allocated by the backroom staff. You may indicate your preference in your application. The Trojan War Crisis will pick up from Paris' seduction and kidnapping of Helen, at the eve of conflict as Agamemnon gathers the most powerful and legendary Greek warriors in mythology. On the other side of the Aegean waits the Trojans, ready to defend their city-state and the holy gift of Aphrodite: the most beautiful woman in the world, Helen. Delegates must use their earthly and divine powers to compromise with the two sides, and more importantly, the deities of Olympus, as tensions grow between the Greeks and Trojans, threatening to burst into all-out war. Battles, scandals, curses, bribery, and most importantly, sacrifice, waits for those who dare to step into the chaotic world of Homer, coming to life after two millennia spent in the books. You will fight for the glory of either Greece or Troy. Each delegate will represent an individual within one of these great civilisations, and your role will be allocated by the backroom staff. You may indicate a preference in your application. Quelle réponse économique et humanitaire aux catastrophes climatiques? Comment opérer les transitions vers l’utilisation des énergies renouvelables pour les pays méditerranéens ? Rispondere alla “crisi migratoria” in Europa- un fronte comune o strategie individuali? Comment promouvoir les énergies renouvelables dans la région MENA ?